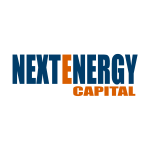 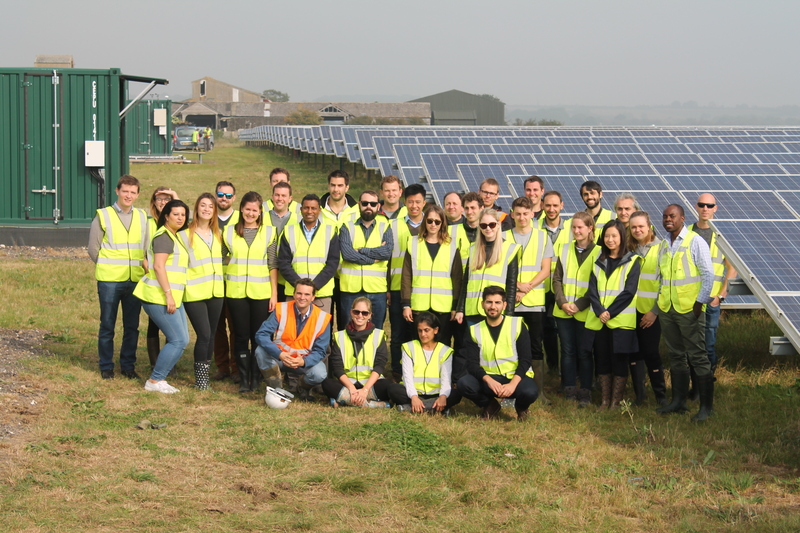 On the 27th of September 2017, the NextEnergy Capital and Wise Energy GB teams had an away day at one of our solar farms near Colchester. 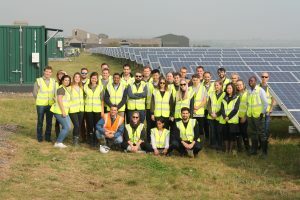 The aim of the day was to show the team members who have not yet had the advantage of visiting a solar farm, the main component parts under the guidance of one of the technical managers, emphasising how we work to create habitats for native animal and plant species. The teams were divided into two groups, and both constructed hibernacula and bug hotels at two different locations on the solar farm with the help of Guy and Clare from Wychwood Biodiversity. They were both made from local materials such as, stone, brick, hay, acorns, twigs, and crates that we were able to gather from the farm and the woodland nearby. 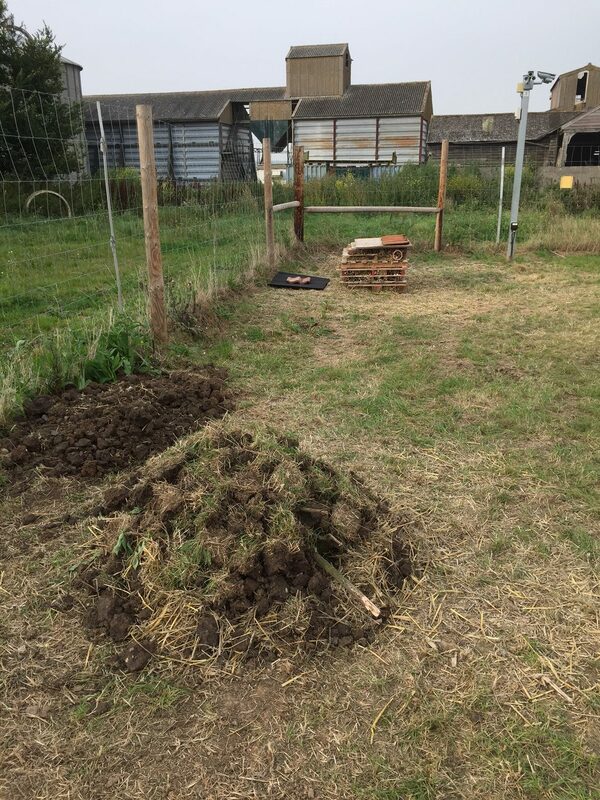 Additionally, we were fortunate to have a member of the Essex Bee Keepers Association, Pat, attend for the day. 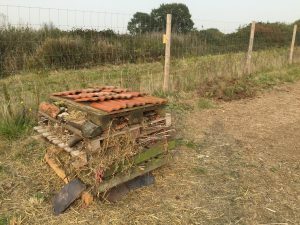 Pat used a demonstrative hive to explain the life of a bee in a hive; who the main workers are; how they produce honey and the process the hive goes through to pick their queen. Honeybees hibernate during the winter months to protect their queen, so unfortunately the team were unable to see a real live hive. 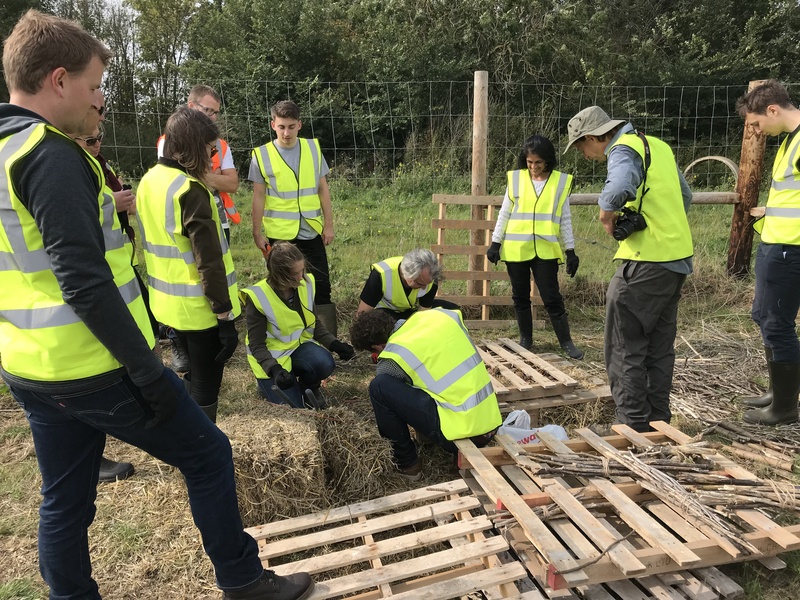 There was a positive response from the whole team who showed a great deal of enthusiasm and got involved with all the activities.